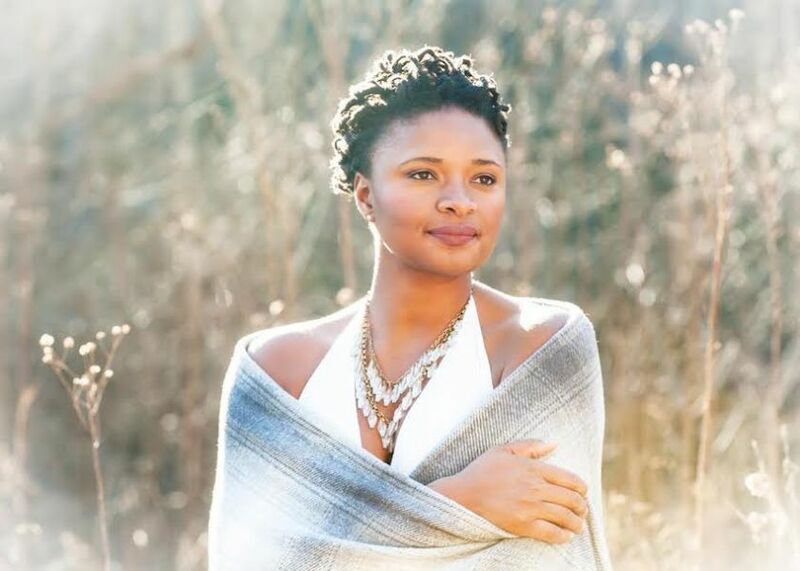 Lizz Wright is a captivating jazz vocalist who draws from a gospel background to find the soul in every song. Her latest album, Freedom & Surrender, once again finds the singer sharing rich and complicated emotions with the beauty in every aspect of her voice. AXS got a chance to ask Wright about her singing techniques, as well as some of her advice for staying in tip-top shape while touring on the road. Laurie Fanelli (AXS): You have a beautiful and versatile voice, what drew you to jazz as your genre of choice? Lizz Wright: Thank you! I discovered jazz when I was still in grade school from National Public Radio, Marian McPartland's Piano Jazz Show. I found that jazz, like gospel, involved a balanced relationship between form and improvisation. Gospel is, in my tradition, very communal. I found the musical fellowship between jazz musicians to be very similar to the call and response of bluesy 20th century gospel music. The refreshing difference for me was that jazz was intellectual and personal at once. It involved a lot of subject matter, but still had a thoughtful and reverent quality to it like the gospel music that I grew up hearing and singing. From my initial exposure to jazz, I felt that I had a window into the outside world and the spirit of the past. LF: You are able to convey such rich emotions with your melodies, do you have anything special that you do – either in preparation for a show or on stage – to enhance your ability to connect to the heart of the music? LW: I get quiet and think about how to use the songs for each concert. I sit and think about which songs I can carry better than others that night. I also write a new set list or adjust it based on what I feel from a place and its people. I think a little room for observation and reaction is important. The set list becomes my letter or message to those particular folks. These quirky little practices keep the work of performing authentic and fresh for myself and the band. LF: What was one of the first songs that you remember wanting to sing professionally? LW: “The Nearness of You." Nancy Wilson's recording of it was a revelation for me. She made me care more about the sentiment than even her voice – which was phenomenal. "That's what a real woman sounds like," I thought. Suddenly, it became important to me to think about how the song and its delivery make people feel about life. That was the point. LF: Freedom & Surrender is such a beautiful album, that has been celebrated by fans and critics, alike. Have you started thinking about a follow-up yet? LW: Thanks! I look forward to getting back into the studio in December 2016. In and outside of my career, life has been presenting me with opportunities to share my relationship with land and with the American South, in particular. It has always been a sweet and rich place for me, loaded with great stories and music. I hope to find a way to share some of that with this next project. LF: You recently shared some of your healthy habits that help you feel whole while you are on the road, including yoga, running and getting proper rest. You must be great at time management to accomplish your fitness and musical goals. Do you have any tips on getting the most out of a busy day? LW: Have good daily rituals of self nurturing that you always practice and also be creative about making the best of the present. If you're a traveler, there's something inspiring, informative or calming to do or see right under your nose. Find it. These things matter because we are remembered more for the quality of energy that we bring to what we do, even more than what we actually do. LF: Can you share some of your favorite meals that you love to eat for energy on the road? LW: Brown rice, young hardy greens, feta or goat cheese, olive oil – balsamic vinegar, baked poultry or fish, roasted sweet potato. I also drink fresh mint, ginger root, lemon and honey tea before most every show. LF: You have a ton of tour dates in 2016 including festival appearances and intimate club gigs. Do you prefer playing in certain venues or is variety helpful in keeping things fresh? LW: Variety is certainly great for keeping the band and show well rounded, though I prefer small theaters. They are intimate and acoustically treated. As a singer, the design of the hall and the quality of the gear become parts of your instrument for the night. I enjoy the challenge of adapting to a variety of spaces. Pick-up tickets to see Lizz Wright in spaces big and small in a city near you and click here to purchase a copy of her latest album, Freedom & Surrender. Keep reading AXS for more music news, reviews and tour announcements.